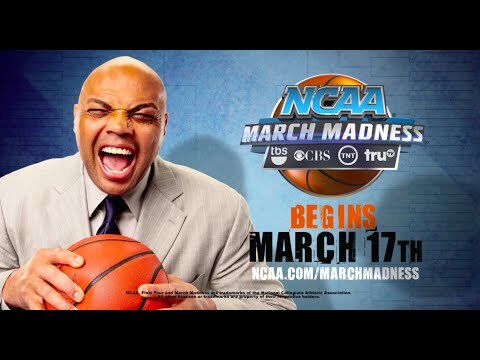 Besides real-time video clips and sport highlight packages of this year’s hoops action on the March Madness YouTube channel, expect to see live press conferences, game previews and analysis of data by the CBS Sports experts, including by Sir Charles Barkley who does not like sports analytics but will use them nevertheless to offer predictions, breakdown matchups and even fill his NCAA bracket with winners and losers just like millions of bracketology fans do. “Our new partnership with YouTube gives college basketball fans more ways to discover and watch the plays and storylines that everyone will be talking about during March Madness, ” said Mark Johnson, vice president of business operations, Turner Sports. “Tapping into the power and reach of YouTube’s video platform opens up new opportunities for us to grow interest and consumption of March Madness. Dunk of the Day presented by Oreo – A daily video clip highlighting the top dunk of each day of tournament play. Naismith Trophy presented by AT&T – A highlight reel featuring the best moments from this year’s 2015 Naismith College Player of the Year winner. Solve of the Day presented by UPS – A feature that will identify potential upsets and pinpoint what this year’s tournament favorites will need to do to avoid a shocking loss. Starting Lineup presented by Reese’s – A daily update that will deliver the five things fans need to know about the day’s action. Each day, noteworthy news stories, stats and outcomes from the tournament will be show across TBS, CBS, TNT and TruTV. Turner Sports together with CBS Sports have partnered up again to produce and deliver live, national coverage of all 67 tournament games over the four networks as well as March Madness Live, beginning Tuesday, March 17, with the NCAA First Four® on truTV presented by Northwestern Mutual. This year’s NCAA Final Four® semifinals from Indianapolis will be televised Saturday, April 4, on TBS, with the national championship airing Monday, April 6, on CBS. The NCAA March Madness YouTube Channel launched yesterday with composed video clips from the outstanding games and special moments of the 2014 tournament. Watch the last second shot by Ohio State’s Aaron Craft that came up short against Dayton. Relive the buzzer beaters by Kentucky’s Aaron Harrison. Share in the Mercer team from Georgia’s epic upset win over Duke. Finally, remember the not-to-be-denied spirit of the National Championship winners, UConn. The NCAA is a membership-led nonprofit association of colleges and universities committed to supporting academic and athletic opportunities for more than 460,000 student-athletes at more than 1,000 member colleges and universities. Each year, more than 54,000 student-athletes compete in NCAA championships in Divisions I, II and III sports. Visit www.ncaa.org and www.ncaa.com for more details about the Association, its goals and members and corporate partnerships that help support programs for student-athletes. The NCAA is proud to have the following elite companies as official Corporate Champions—AT&T, Capital One and Coca-Cola—and the following elite companies as official Corporate Partners—Allstate, Buffalo Wild Wings, Burger King, Buick, Enterprise, Infiniti, Kindle (Amazon), LG Electronics USA, Lowe’s, Nabisco, Northwestern Mutual, Reese’s (Hershey’s), Unilever and UPS. Turner Sports, a division of Turner Broadcasting System, Inc., is an industry leader in the delivery of premium sports content across all multimedia screens. Turner Sports’ television coverage includes the NBA, Major League Baseball, NCAA Division I Men’s Basketball Championship and professional golf. 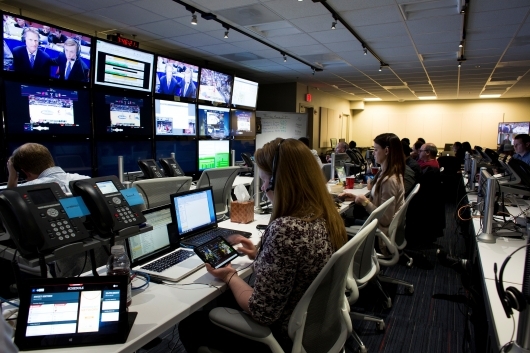 The company also manages some of the most popular sports destinations across broadband and mobile platforms including Bleacher Report and its top-rated Team Stream app, NCAA.com and the critically-acclaimed NCAA March Madness Live suite of products, PGA.com and the Sports Emmy Award-winning PGA Championship LIVE, as well as an accompanying collection of mobile sites and connected device apps. Turner Sports and the NBA also jointly manage NBA Digital, a robust collection of offerings including NBA TV, NBA.com, NBA LEAGUE PASS, NBA Mobile, the NBA Game Time App, NBADLEAGUE.com and WNBA.com. Sports Techie, College basketball during March Madness is a rite of passage for fans of all ages not only in the U.S. but across the world. Companies lose money because fans watch games during work hours. Gambling bettors win and lose big money on last second shots and questionable calls by the refs. Teams and coaches you know and others you may not become household names while players do their best to simply live the dream all month long. Sponsors love this event because Turner Sports and CBS Sports capture the attention of millions of fans from the pre-game hype to the thrilling games and then afterwards, with thoughtful analysis by those who have been there and done that. Download the March Madness Live app by Turner Sports for iOS and Android. The fan experience does not get any better than watching March Madness on your TV and using a smartphone and tablet as a second screen companion to stream the dream. Is No. 1 ranked Kentucky a sure thing to win the Final Four being played in Indiana, home of one of the best sports movies of all-time, Hoosiers. Or, will five players coming together as one for a lesser seeded team be able to pull off the miracle upset. You tell me as a blog comment or on our social media network links below. What a fine time to be a sports tech lover.